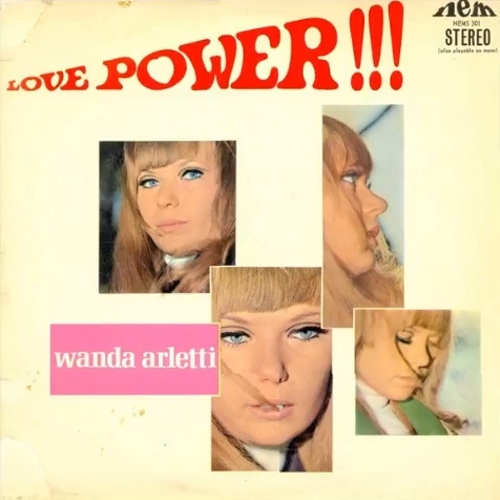 It surprises me somewhat that Wanda Areltti’s (born Wanda Arletowicz in Hackney, England of Polish parents) brilliant album, ‘Love Power’ has never seen a digital release. One has to dig around in second hand vinyl shops if you want a copy of this. The song ‘Love Power’ was written by a guy called Teddy Vann and was first recorded by a group from New York called The Sandpebbles. Their version made it to number 22 on the US charts. A year later Dusty Springfield recorded a cover of it and Wanda’s version appear the following year in 1969. Even jazz saxophonist Lou Donaldson produced a nice organ led cover which featured George Benson on guitar. Wanda brings a powerful soul voice and a liveliness to the song while a drum heavy instrumentation (courtesy of The Bats’ Eddie Eckstein) warmed by some wonderful brass, underpins a classy cover of the song. Like most songs of they era, it it over too quickly, clocking it at just over 2 minutes. But what a wonderful 2 minutes. The song is uplifting with Wanda’s sassy voice compliemented by such SA luminaries as Una Valli, Stevie van Kerken and Judy Page providing Motown-esque backing vocals, this is one of the stand out tracks of the brief period in SA music when we were doing some burningly great soul music. And that’s saying something, for although the volume of this type of soul in SA was not great the quality was very high. In amongst great tracks from The Flames, The Peanut Butter Conspiracy and Una Valli, ‘Love Power’ certainly has the power.